I LOVED this book! I read it in one day. Couldn’t put it down. This is my second Wendy Webb book and I am a fan! The thing of it is, I’ve never really been a ghost story reader, but for some reason I can’t put Ms. Webb’s books down once I start one! 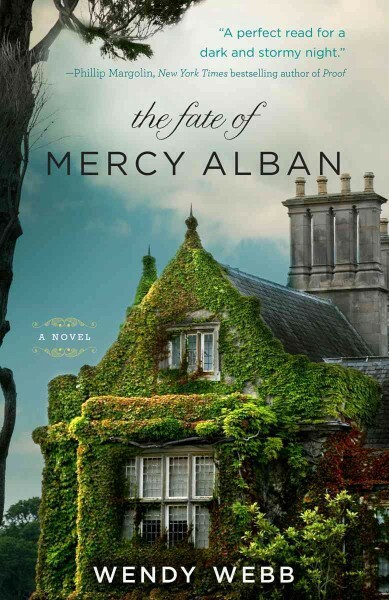 I read The Fate of Mercy Alban in one day too. I connect to the characters. I ‘see’ the house and surroundings. It’s a setting I like. Set in Minnesota on Lake Superior in the winter. Think blizzard, haunted mansion, stuck inside! The writer does an excellent job of keeping you in suspense. Not ever really knowing who’s the ‘good guys’ or ‘bad guys’ until the very end. And there’s always a wonderful mystery connected to long buried family secrets to solve, as well as a little romance, along the way. Oh yea, on cold snowy winter day in January, your going to want to read this one! ‘Grace Alban has spent more than twenty years avoiding her childhood home, the stately Alban House on the shores of Lake Superior, for reasons she would rather forget. But when her mother’s unexpected death brings Grace and her teenage daughter back, she finds more is haunting the halls and passageways of Alban House than her own personal demons. 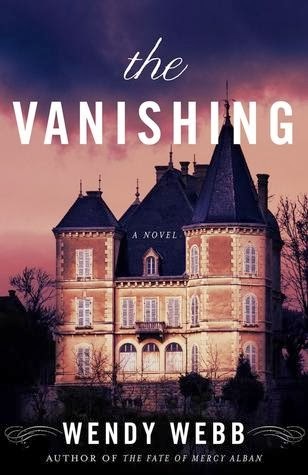 Long-buried family secrets, a packet of old love letters, and a lost manuscript plunge Grace into a decades-old mystery about a scandalous party at Alban House, when a world-famous author took his own life and Grace’s aunt disappeared without a trace. The night has been shrouded in secrecy by the powerful Alban family for all of these years. Her mother intended to tell the truth about that night to a reporter on the very day she died—could it have been murder? Or was she a victim of the supposed Alban curse? Grace soon realizes her family secrets tangle and twist as darkly as the mansion’s secret passages. This was a nice read. For someone who doesn’t read ghost stories they seem to be coming my way this year and I seem to be enjoying them. Hmm… at any rate this is a well plotted ghost/mystery story. A good summer read. Not heavy or long just right for the beach or lake shore. A little romance, a little family dysfunction, secrets long buried, legends and folklore, mysterious deaths, tragedies. Set on gorgeous Lake Superior too! A stately house as a center point, something I always like. I’m definitely getting the first book written by this author too, The Tale of Halcyon Crane. Word on the blogs is it is better than this one!